Shanghai-Hong Kong Stock Connect information you need to know! Shanghai-Hong Kong Stock Connect is a joint project between the Shanghai Stock Exchange (SSE) and The Stock Exchange of Hong Kong Limited (SEHK). It allows investors to trade cross-border into specific stocks listed in the other's market. It also allows overseas investors and thus Phillip Securities clients to trade China 'A' shares in the SSE. 2. When can we expect Shanghai-Hong Kong Stock Connect to launch? 3. Which China 'A' shares can I trade? SSE 380 index consists of the 380 stocks with Midcap, high growth and good earning records, which aims to comprehensively reflect the performance of the Shanghai new blue chip stocks. The shares must also be denominated in RMB and not included in “Risk Alert Board”. 1. Can I participate in Initial Public Offerings (IPOs) in SSE through Shanghai-Hong Kong Stock Connect? No, IPOs are currently not supported by the scheme. No. 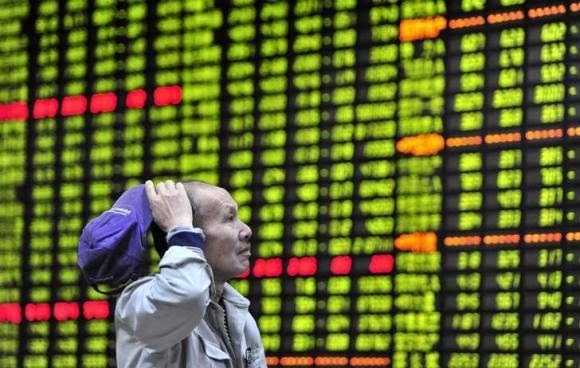 Hong Kong and overseas investors are not allowed to do naked short selling in China 'A' shares listed in the SSE. They are not allowed to participate in the Mainland’s margin trading and securities lending as well. 6. Does SSE price limit apply under Shanghai-Hong Kong Stock Connect? Yes. For SSE Securities, there is a general price limit of a ±10% (and a ±5% for stocks under special treatment (i.e. ST and *ST stocks) in the risk alert board) based on previous closing price. All orders input for SSE Securities must be within the price limit. Any orders with price beyond the price limit will be rejected by SSE. The upper and lower price limit will remain the same intra-day. Note: ST stocks refers to: stocks that have been resumed from suspension for listing; or stocks that have been relisted; or stocks that have suffered from other significant risks. *ST stocks refers to stocks with the risks of being delisted. 7. Are there any disclosure obligations for trading SSE-listed Shares? Yes. Any investors holding or controlling shares more than 5% from the same issuer must disclose his interest within 3 working days. During which, the said investor cannot buy nor sell the shares until the interest is made known. 8. What happens during severe weather conditions in Shanghai or HK? Should Shanghai or Hong Kong announce suspension of market due to severe weather (ie. Typhoon Signal above 8 and/or Black rainstorm), no trade will take place until an official announcement for trading resumption. Please refer to Shanghai or Hong Kong Stock exchange for any announcements on market suspension on the day. 9. Do I need to have a broker in HK? 11. Before trading in Poems, what should you take note?